Will - board only by Zinsky // £586.58 - 18% off. 'Prince Charming, Prince Charming...' the Adam And the Ants song keeps playing in head when I see this. Zinsky's painting 'Will' celebrates the Royal Wedding between Prince William and Kate Middleton, now the Duke and Duchess of Cambridge. The artist has defined William in this image, perfectly painting him onto the canvas. 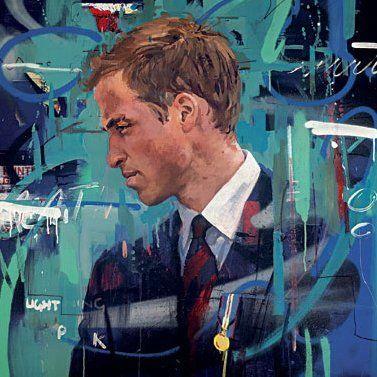 Merged into the green and blue contemporary background, it has the effect of pulling the viewer further into the art - our gaze is almost entirely focused on William and that is a tribute to Zinsky's genius.